Food Lion LLC is an American grocery store company headquartered in Salisbury, North Carolina that operates approximately 1,300 supermarkets in 11 Mid-Atlantic and South Atlantic states as well as Tennessee, Kentucky and West Virginia under the Food Lion, Harveys Supermarket, Bloom, Bottom Dollar Food, and Reid's banners. 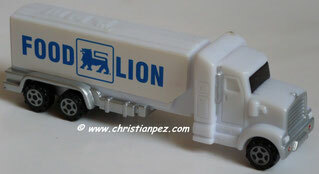 With approximately 73,000 associates, Food Lion LLC is the largest subsidiary of Delhaize Group. Delhaize Group is a food retailer headquartered in Belgium which operates in 7 countries. Delhaize Group was founded in Belgium in 1867. The principal activity of Delhaize Group is the operation of food supermarkets in North America, Europe and Southeast Asia. Supermarket News ranked Delhaize America No. 10 in the 2007 "Top 75 North American Food Retailers" based on 2006 fiscal year estimated sales of $17.3 billion.